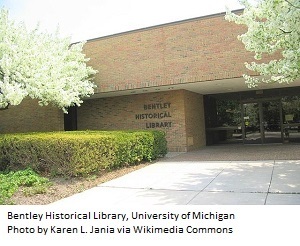 Hassan Ahmad, a Virginia-based immigration attorney, has filed a Freedom of Information Act (FOIA) request and a lawsuit to view the papers of John Tanton held at the University of Michigan’s (UM) Bentley Historical Library (BHL). Tanton, a retired ophthalmologist from Petoskey, MI, founded several groups that sought to constrain immigration to the United States, and is considered by the Southern Poverty Law Center (SPLC) to be the “racist architect of the modern anti-immigrant movement.” Ahmad has argued that the material should be openly available, as organizations founded by Tanton have ties to members of the Trump administration and are relevant to current controversies over immigration policies. The papers in question are part of a 25-box archive of correspondence and documents dating from 1960 to 2007, donated by Tanton to UM beginning in 1984. Boxes 1–14 are open to researchers without restriction, but boxes 15–25 are closed until April 6, 2035, as per Tanton’s donor agreement with the library. After a December 2016 FOIA request to view the material was denied, as was a subsequent appeal, Ahmad—founder and principal of the HMA Law firm, which specializes in immigration and criminal defense—filed a lawsuit in June 2017 charging that the papers should be made public. In his October 2017 court filing, Ahmad stated in response to UM’s motion to dismiss that Tanton's documents "meet the statutory definition of 'public records' and should be released under FOIA since they deal with the ‘affairs of government.’" In November 2017 Stephen Borrello, a judge with the Michigan Court of Claims, ruled that the records, as a private donation that is not possessed by UM for any public purpose, should remain closed. Ahmad appealed the case and on August 15 appeared before a three-judge panel at the Michigan Court of Appeals in Detroit. Philip Ellison, Ahmad’s attorney, claimed in court that UM had no right to enter into an agreement with Tanton that would exclude his papers from FOIA requests, and that the university can’t use donor agreements to keep important documents private. The court is scheduled to rule on the case in late September or early October—a decision that could have repercussions for archives at public institutions across the country. 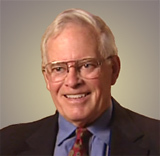 In 1979 Tanton was a founding chairman of the lobbying group Federation for American Immigration Reform (FAIR), which seeks to reduce both legal and illegal immigration. He was also influential in establishing the Center for Immigration Studies (CIS) think tank, begun as a spinoff of FAIR in 1985, and the organization Numbers USA, both of which support research that calls for stricter immigration policies in the United States. Tanton also founded the Social Contract Press, which publishes on immigration reduction and population control, and U.S. English, a group that opposes bilingual education. According to SPLC—which has deemed FAIR a hate group—Tanton “carried on correspondences with some of the key leaders of the white nationalist movement, meeting and even vacationing with some of them, and pushing many of their central ideas.” He has been quoted in a leaked 1986 memo, later published in the Arizona Republic, alluding to Hispanic immigrants as the “Latin onslaught.” He referred to eugenics and sterilization in his writing, and has expressed his preference for a “European-American majority” in correspondence. Tanton has denied that he promotes racism. Opening the sealed files would provide critical information on anti-immigration ideology, according to Ahmad. “The organizations founded by Dr. John Tanton are currently informing U.S. immigration policy," he told the Detroit Free Press in October 2017. "I think the public interest is served by investigating the connection between his thought and the current immigration policies. The rise of white nationalism, as we've seen in Charlottesville, seem to make this all the more important.... It's important for us to be aware of how his thought may be poisoning our policies." FAIR has current ties to a number of Trump associates, including senior adviser Kellyanne Conway, whose firm did polling for FAIR; transition aide Lou Barletta, who sat on FAIR’s national board of advisers, and Julie Kirchner, who served as FAIR’s executive director from 2007 to 2015, and was named the Department of Homeland Security’s Citizenship and Immigration Services Ombudsman in May 2017. Kansas Secretary of State Kris Kobach, vice chair of Trump’s Commission on Election Integrity, served as counsel to FAIR’s legal arm, the Immigration Reform Law Institute, from 2004–16. In 2010 Kobach helped draft Arizona’s controversial SB-1070, which allowed law enforcement to arrest people without a warrant if they were thought to have committed offenses for which they could be deported. FAIR currently is working to end the Deferred Action for Childhood Arrivals (DACA) program. According to Ahmad, the sealed archives include FAIR meeting minutes, nine folders labeled “Pioneer Fund,” a white superiority group that funds studies on race and genetics and has provided significant backing for FAIR, Tanton’s private correspondence, documents on immigration issues, and other information on the groups Tanton founded. Allowing private donors to set restrictions on when their materials should be made available is standard practice—and often, acquiring a collection is contingent on honoring those wishes. “Archives across the country negotiate with the donors of private collections about any restrictions on the opening of records,” BHL director Terrence told LJ. “In general, for the sake of obtaining a valuable private collection, most archives are willing to be flexible about the date at which something might open—frankly, these conversations frequently have to do with the date at which everyone who is in the collection is dead." The implications of the court decision extend beyond the UM campus, however. Privately held archives are not subject to FOIA rules, and as UM vice president and general counsel Timothy Lynch cautioned, public institutions needed to have the same rights to keep donated papers private as their private counterparts. Tim Pyatt, dean of the Z. Smith Reynolds Library at Wake Forest University, Winston Salem, NC, has worked in special collections at both public and private institutions, including Pennsylvania State University, Duke University, and the University of North Carolina. He has seen challenges to access restricted material get as far as university counsel, he told LJ, but not reach the state court system. However, the oral histories that comprise the Belfast Project at Boston College, a private institution, have been the object of ongoing international legal battles. The Belfast Project holds a number of first-person accounts of Ireland’s 30-year civil conflict known as the Troubles, conducted through 2006 with the understanding that they would not be released until the deaths of participants—many of whom had been active in the Irish Republic Army (IRA). Beginning in 2011, UK law enforcement submitted multiple requests to the U.S. Department of Justice, asking it to subpoena the Belfast Project papers in order that it cooperate with international investigations into crimes that occurred during the conflict. The project’s archivists fought the subpoenas, issued under the Mutual Legal Assistance Treaty (MLAT) signed between the U.S. and the UK in 1994. The tapes were turned over to the Police Service of Northern Ireland in 2014. Winston Rea, a former loyalist prisoner, secured a temporary injunction to block their handover the following year. But after court battles on both sides of the Atlantic Rea’s challenge was ultimately dismissed, and the material remains in Ireland. If the court were to rule that the Tanton papers were to be opened under FOIA process, said McDonald, “That would mean that no public archive in the state of Michigan could offer any kind of closure of private records to private individuals for any time at all." Such a ruling in Michigan could push donors to take their papers out of state, and potentially set a precedent which could impact those other states as well. The damage could be retroactive, too; donors whose papers have restrictions could attempt to withdraw their collections from archives, citing actual or potential breach of agreement. Although FOIA was established to provide transparency on the activities of government agencies, McDonald pointed out, "There's an irony in this…. It's standard practice for the justices of the Supreme Court to have their collections closed for 20 years. There is a legislative carve out for the state archives of Michigan to be able to offer these arrangements. So we're in this strange situation where federal law permits the closure of certain kinds of records for long periods of time." The fact that Ahmad wants to examine the Tanton papers to further immigrants’ rights could also have “a chilling effect” on the public record if the court ruled in his favor, Pyatt told LJ, by serving as a disincentive for right-wing donors to give their papers to public archives—or, worse, to destroy material of a sensitive nature. If that happens, he said, “We're losing half of our history. That's one of the things [archivists] really try to do, make sure all sides of the argument are open…. Students and faculty should be able to see the whole history."